Drug Interactions and Stroke: Can Blood Thinners Cause Strokes? Nearly 800,000 people suffer a stroke every single year in the United States and stroke is the fourth leading cause of death in the United States . Many stroke survivors are prescribed blood thinners and other medications to prevent another, future stroke. Common blood thinners have proven to be effective for minimizing risk of stroke associated with blood clots, but they also come with their own set of risks that are important to understand before starting treatment. Unfortunately, blood thinners can reduce the risk of clot-related stroke only to increase the risk of stroke related to bleeding and blood vessel rupture. To prevent unwanted complications from blood thinners, patients may need to make lifestyle and adjustments moving forward. Understanding the different types of stroke, their treatments, and any potential complications can empower individuals and their loved ones to prevent a second stroke in the future. A stroke is generally either caused by a clot that is preventing blood from flowing properly to a portion of the brain, or by a leaking or ruptured blood vessel that is causing blood to flow into surrounding brain tissue. The three types of stroke an individual is likely to suffer are ischemic stroke, hemorrhagic stroke, and Transient Ischemic Attack (TIA). Ischemic strokes are by far the most common type of stroke, representing nearly 90 percent of all stroke cases today. 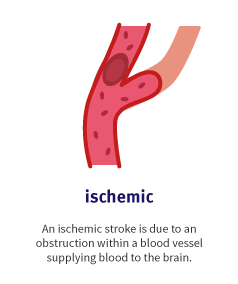 An ischemic stroke is the result of reduced or blocked blood flow to the brain due to a clot in a blood vessel. This obstruction of blood flow is caused by fatty deposits along the lining of vessels walls. These fatty deposits generally lead to one of two major types of blood flow obstruction: cerebral thrombosis and cerebral embolism. A thrombotic stroke is the result of an artery that supplies blood to the brain being fully or partially clogged. An embolic stroke is also caused by a blocked artery, however, in an embolic stroke, the clot develops at a different location in the circulatory system (often near the heart), breaks free, travels through the bloodstream, and eventually becomes lodged in a blood vessel. While ischemic strokes are tied to the disruption of blood flow to the brain due to clots, hemorrhagic strokes are the result of a blood vessel within the brain rupturing and causing internal bleeding. Hemorrhagic strokes are less common than ischemic strokes, accounting for approximately 13 percent of all stroke cases. When a blood vessel ruptures and leaks blood into the brain, this hemorrhaging puts enormous pressure on surrounding tissues. 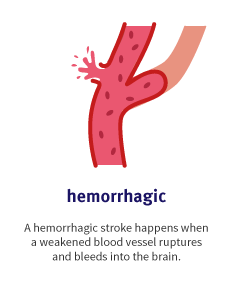 Common conditions such as high blood pressure and aneurysms (abnormal bulges in weakened arteries that are susceptible to leaking or bursting) are common causes of hemorrhagic stroke. Small clusters of abnormal blood vessels, known collectively as an arteriovenous malformation (AVM), can also rupture and bleed into surrounding brain tissue. A Transient Ischemic Attack (TIA), commonly known as a “mini stroke,” is caused by temporarily disrupted blood flow to the brain as the result of a clot and has symptoms similar to an ischemic stroke. However, a TIA does not generally result in permanent brain damage and the episode itself is usually short (less than five minutes). A TIA is often seen as a warning sign that someone is at risk of suffering a major stroke in the near future. After suffering a stroke or a TIA, a survivor is likely to be prescribed an array of medications to reduce stroke risk moving forward. Blood thinners are frequently prescribed to minimize the risk of clot-related strokes, but it is important to be apprised of risks and lifestyle adjustments inherent to taking blood thinners regularly, in order to do so safely and to maximum benefit. After a transient ischemic attack (TIA) or a ischemic stroke, many patients are prescribed medications designed to prevent blood clots, such as anticoagulants or antiplatelets. Antiplatelet and anticoagulation medications are the two most commonly prescribed blood thinners for stroke patients. These medications prevent blood clots by interfering with the blood’s natural ability to clot. Traveling through our bloodstream are microscopic cells known as platelets. After a cut, the average person may begin to bleed a bit, but the rate of bloodletting will slow down fairly quickly, due to the aforementioned platelets sticking to one another. The phenomenon of platelets sticking together is what we understand to be clotting. Antiplatelets (also known as platelet aggregation inhibitors) minimize the risk of potentially dangerous blood clots forming by disrupting the clotting process. 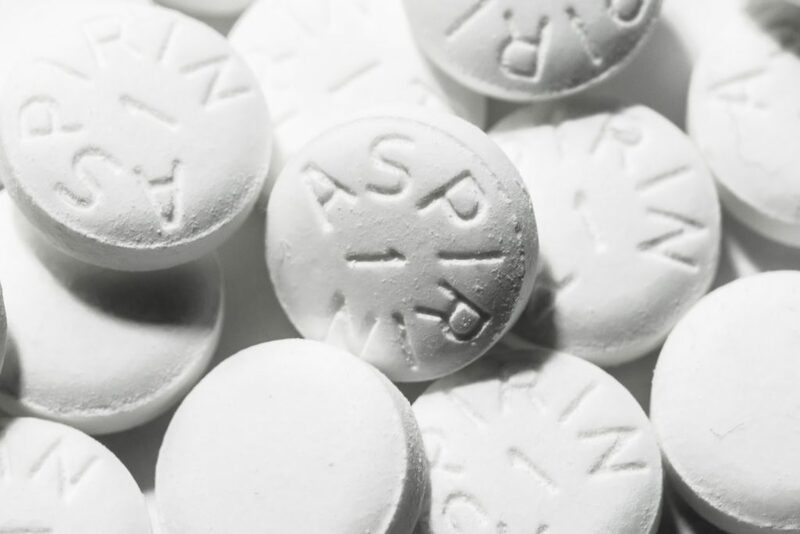 Common antiplatelet medications currently on the market include aspirin, dipyridamole, clopidogrel, or one of the above combined with aspirin, a medication many of us take for headaches that has antiplatelet properties. Anticoagulant medications are designed to inhibit the blood from clotting quickly by inhibiting blood proteins associated with coagulation. Common anticoagulant blood thinners for stroke include heparin, dabigatran, rivaroxaban, apixaban, edoxaban, and warfarin. As one would imagine, blood thinners make patients taking them more prone to bleeding and, therefore, these medications often require lifestyle adjustments to prevent injury and excessive bleeding. Additionally, it’s absolutely necessary to inform a medical professional you are taking a blood thinner for stroke prior to surgery or any medical treatment. Statins are not on the blood thinners list, but drugs to lower cholesterol are commonly prescribed alongside blood thinners after a stroke. Remember, fatty deposits in the blood vessels (a common symptom of high cholesterol) can become or compound the damage of clots that cause stroke. Similarly, high triglycerides are linked to arteriosclerosis, or the buildup of plaque in the arteries, another risk factor for stroke. Studies have also shown that EPA, an omega-3 fatty acid found in in fish oil, may reduce the risk of stroke for high-risk patients. Fish oil supplements are often taken following a stroke and some studies have even shown that fish oil consumed within 5 hours of suffering a stroke may minimize brain damage. …or Blood Thinners for Stroke Can Worsen the Problem. Blood thinners are commonly prescribed for stroke survivors at risk of dangerous blood clots. Unfortunately, the blood thinners used to prevent such blood clots can increase the risk of bleeding in the brain, a cause of hemorrhagic stroke. Furthermore, many common blood thinners may interact with other over-the-counter medications, common supplements, and prescriptions, reducing their effectiveness and setting the stage for potentially dangerous side effects. Non-vitamin K oral anticoagulants (NOACs) are common blood thinners used to prevent stroke risk associated with blood clotting. A recent study determined there was an increased risk of bleeding associated with NOACs, especially when taken with commonly prescribed medications like amiodarone, fluconazole, rifampin and phenytoin. The researchers found the interaction with Lipitor to be particularly worrisome, considering that Lipitor is frequently prescribed to address the high cholesterol associated with stroke risk. Some common blood thinners may even interact negatively with everyday foods: turmeric, the kitchen spice, has been shown to increase the risk of bleeding when combined with some anticoagulant drugs. 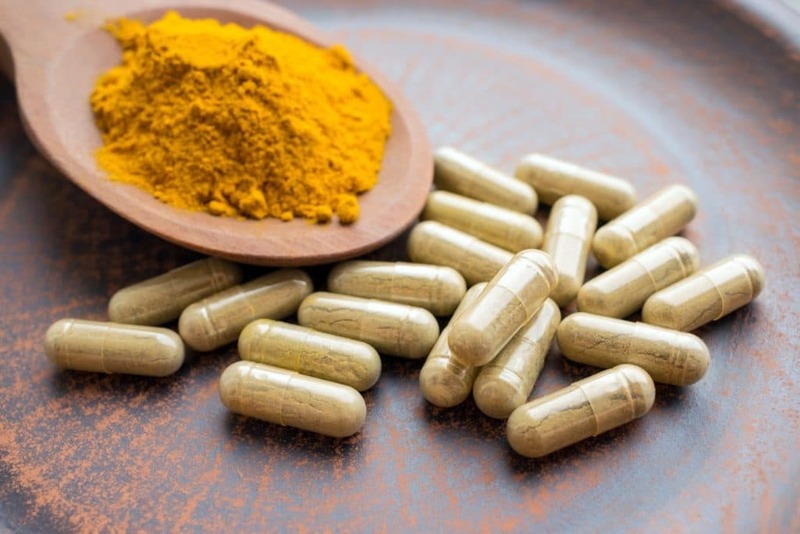 While the average spice rack turmeric contains only a small amount of curcumin, a known anticoagulant ingredient, the larger capsules sold as supplements can contain up to 2000 mg of curcumin per dose. Many common blood thinners can lose efficacy due to interactions with supplements, diets, or other medications. Vitamin K plays a central role in the body’s clotting process and vitamin K antagonists (VKAs) like warfarin are designed to slow down the anticoagulation properties of Vitamin K. A patient’s dosage of an anticoagulant is generally determined after a doctor learns their activity level, diet, other medications, family history, and other factors. Regular blood tests during drug therapy are used to fine-tune the dosage and establish a patient’s international normalised ratio (INR). The INR illustrates how long it takes for a person’s blood to clot and will determine the appropriate dosage of blood thinners. That said, fluctuations in dietary vitamin K levels can reduce the effectiveness of such medications. A diet high in foods that are rich with Vitamin K may require a patient to take a higher dosage. Unfortunately, many patients don’t know which foods are sources of Vitamin K. Some of the common foods rich in vitamin K that patients should be aware of are: Kale, collard greens, spinach, broccoli, beef liver, pork chops, chicken, green beans, prunes, kiwi, soybeans, green peas, avocados, and cheese. Additionally, stroke survivors who have been prescribed statins may develop a coenzyme Q10 (CoQ10) deficiency and begin taking a CoQ10 supplement. Unfortunately, studies have shown that CoQ10 supplements can reduce the effectiveness of blood thinners. Beginning a CoQ10 supplement while taking a common blood thinners may increase the chances of developing a potentially life-threatening blood clot. There are many potential side effects of blood thinners and all stroke survivors should consult their doctor before changing their diet or beginning a drug regimen, prescription or otherwise. According to the Center for Disease Control and Prevention (CDC), someone suffers a stroke every 40 seconds in the United States. After a stroke, survivors may begin taking one or more medications for the purpose of decreasing stroke risk, including blood thinners. While anticoagulant and antiplatelet medications may decrease the risk of ischemic stroke, the associated dietary and pharmaceutical complications may reduce the effectiveness of other medication and even increase the chances of bleeding and hemorrhagic stroke. To minimize these risks, stroke survivors may need to make rather substantial lifestyle and dietary changes. The stroke recovery process is often challenging for stroke survivors. Fortunately, a team of doctors, caregivers, and stroke rehab professionals can all play a role in minimizing the burden of stroke rehabilitation. Here at Saebo, we are committed to stroke support and recovery for all survivors and their families. Saebo offers a wide range of products that combine cutting-edge technology with evidence-based rehabilitation techniques. Our offerings and network of Saebo-trained therapists can help you or a loved one to obtain all the necessary tools to maximize stroke recovery.